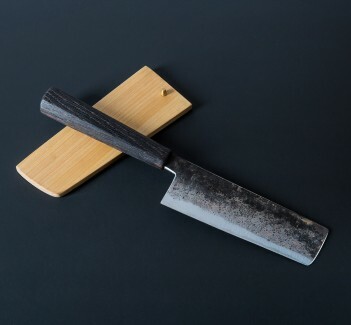 This gorgeous custom nakiri is part of a set of 100% reclaimed knives that includes the Boothill Reclaimed K-Tip Chef and Boothill Reclaimed Slicer. 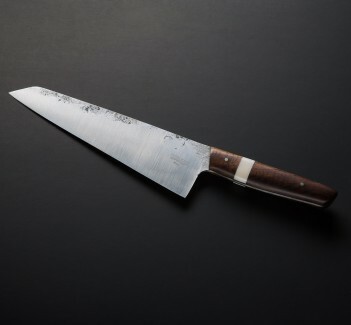 Forged from an old sawmill blade and beautifully thin behind the edge for swift vegetable chopping, the blade measures 6.75" with a height of 53mm. The flowing grain in the curly walnut handle can be attributed to the early 20th-Century double barrel shotgun stock that it was cut from. 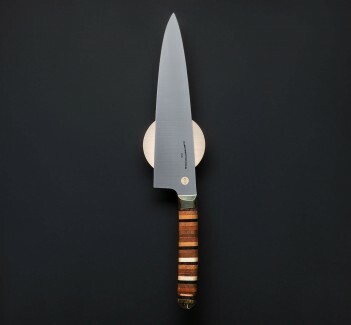 The handle is accented by a recycled Corian spacer sourced from kitchen countertop scrap. 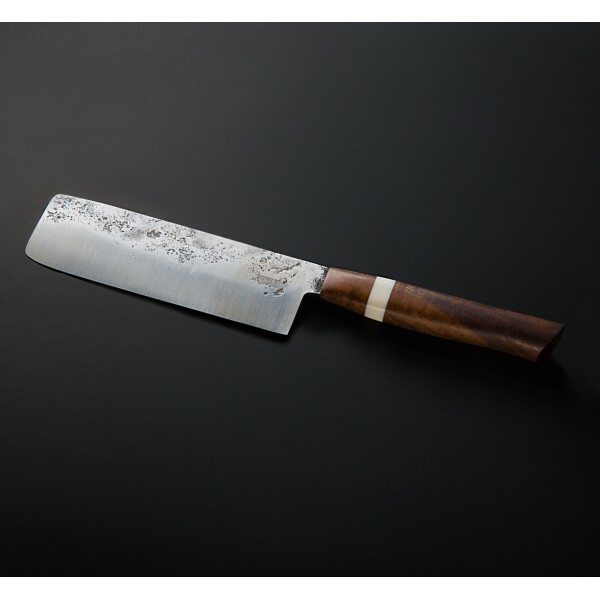 An outstanding reclaimed knife from Jared Thatcher, designed and made just for Eatingtools. 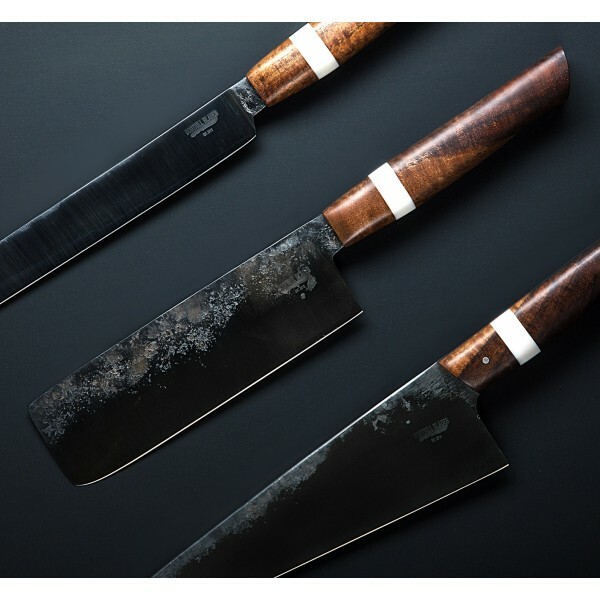 Jared Thatcher's emphasis on reclaimed materials and design profiles that are meant for hard use every day drew us to his work, and this knife, along with the others in the Boothill Reclaimed set, is a superb example of his capabilities. With his wife Kylee, the Thatcher's run Boothill Blades and Boothill Kitchen from their workspace in Tennessee where their three daughters provide invaluable support (and gardening assistance). 6.75" (171 mm) blade, 12.75" overall. Blade width at the heel: 3.25mm. Blade height at heel: 53mm. Weight: 7.8 oz (226 g). Blade forged from a reclaimed sawmill blade, curly walnut handle with Corian spacer.